Powder-free. 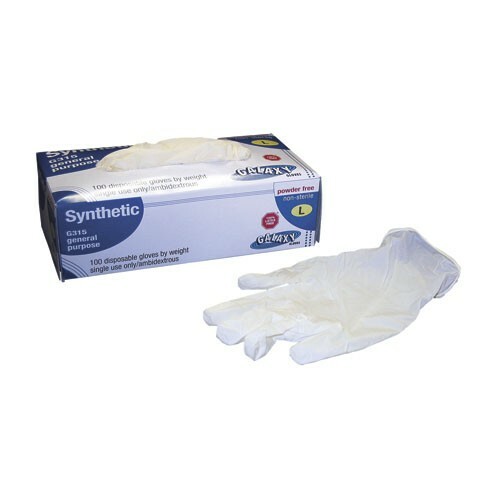 Stretchable gloves fit either hand. Ideal for food preparation, general light-duty cleaning, painting, manufacturing and parts assembly, and other non-medical applications. FDA/USDA Compliant. 100% latex-free. Beige, non-sterile. 4 mils thick. 100 gloves per dispenser pack.